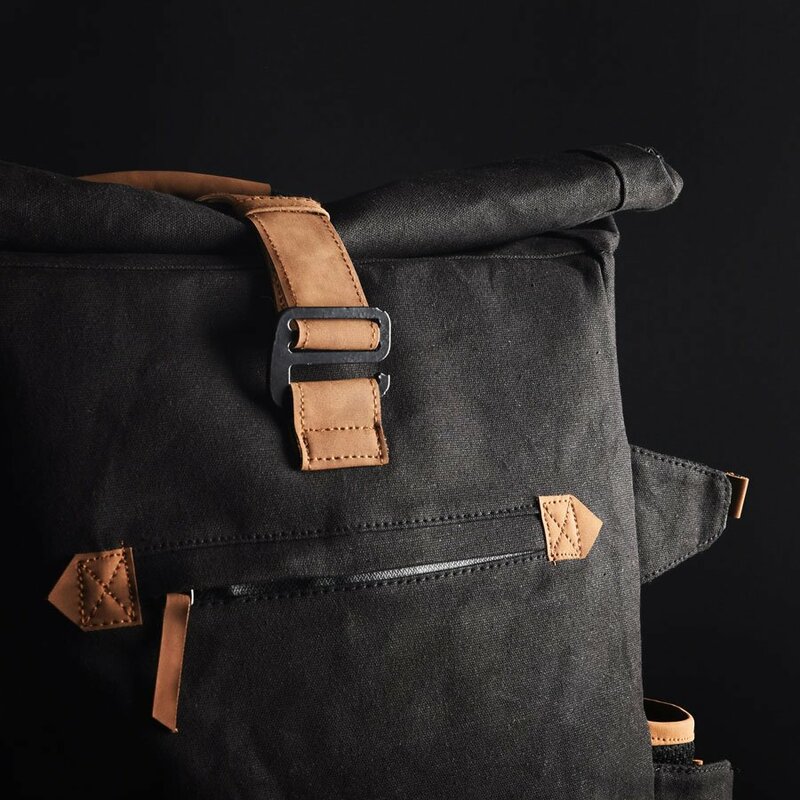 From beautiful monsoon bike rides and treks to daily travel, Splash is an all-waterproof backpack that will take care of your belongings in the harshest weather conditions while not compromising one bit on style. 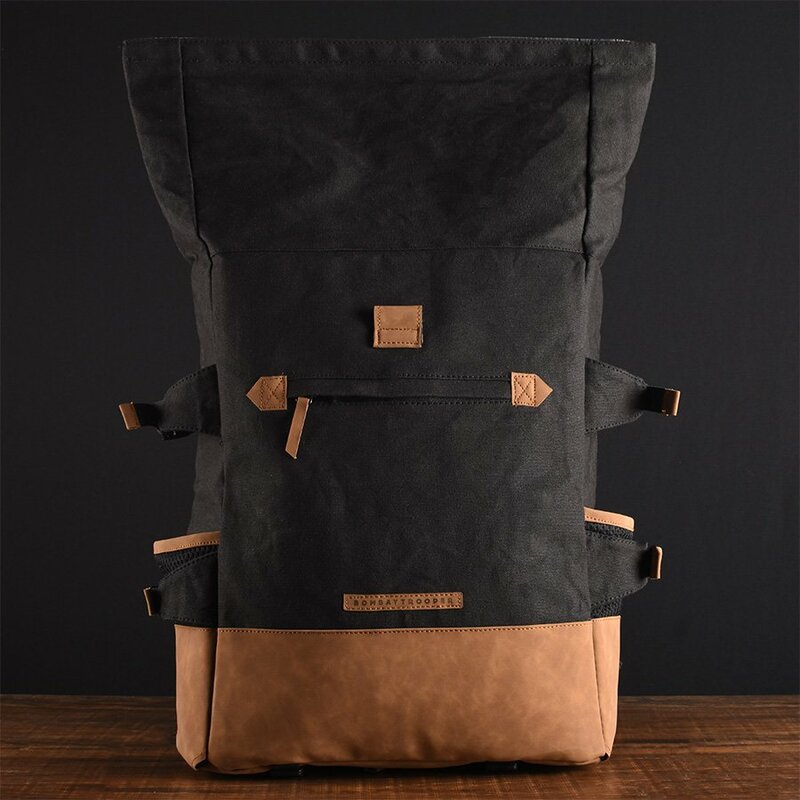 Material Used: Waterproof Cotton Canvas. We at Bombay Trooper love outdoors and believe that joyuous things like rains should be experienced in its natural state. Human body is waterproof but what about things you carry on daily basis? Your laptop, books, camera kit or clothes? They need a secure housing when you’re out in the open world with sky full of rains and rainbows. This is when we decided to create a backpack that is completely waterproof but at the same time, isn’t one of those tacky plastic ones. The search of the ideal material ended when Iris – the Greek Goddess of rainbow – herself brought us a magic potion that converts a regular cotton canvas into a water repelling hydrophobic fabric. 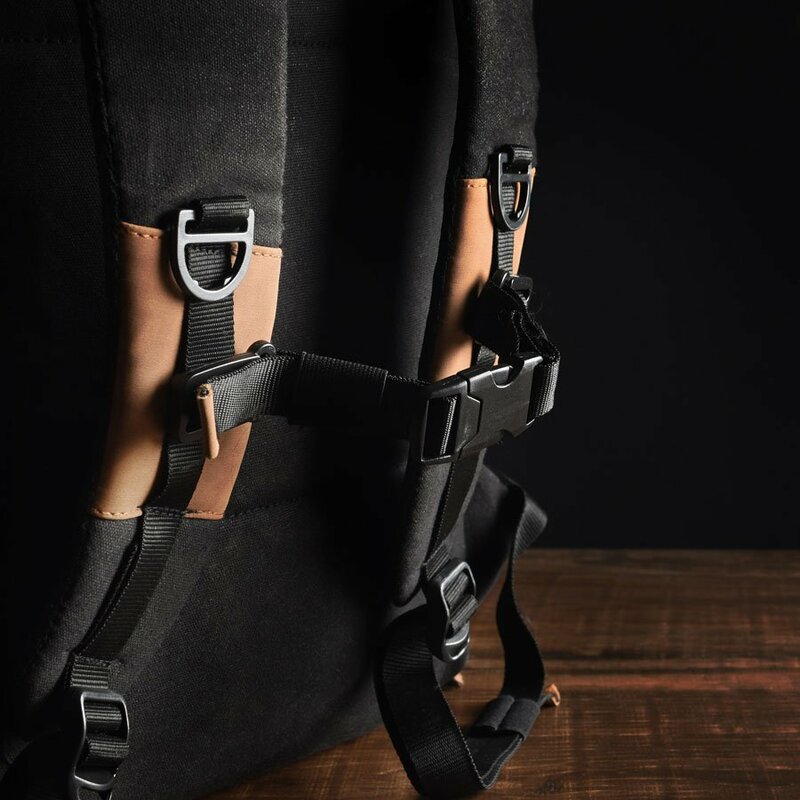 Thus, the creation of Splash Backpack came to be and since then, we have enjoyed end number of treks, bike rides or even a stroll on the beach without caring about rains harming our belongings. 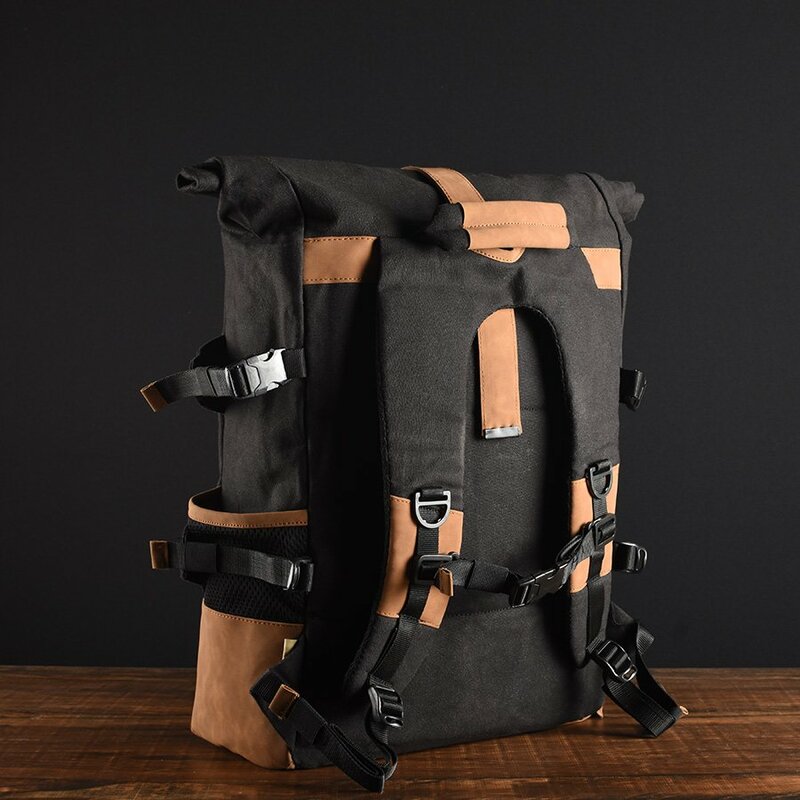 We hope you enjoy the adventures this backpack will bring you. Fun Activity: Put a drop of water on the material – watch it transform into a slippery marble – try to balance it and keep it from rolling over. We spent countless hours playing this game. LOL! 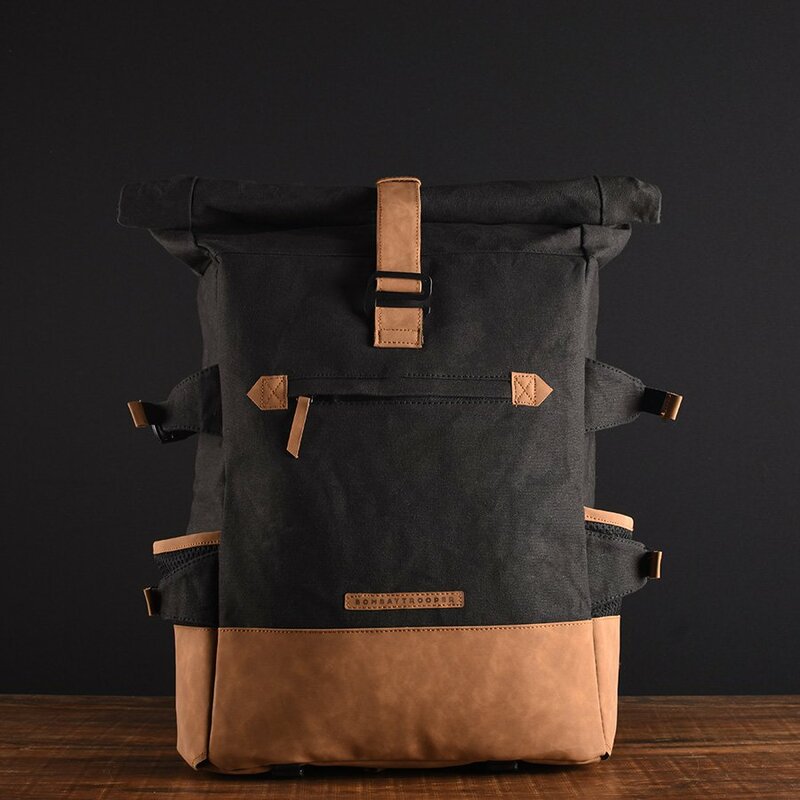 Finally a waterproof backpack that’s not ALL plastic. The exterior of the Splash Backpack is made with 100% cotton canvas fabric – treated with a special water-repelling magic potion. Water rolls down this special fabric like a dew drop on a leaf. This bag features a roll-top design that can expand or contract based on your requirement. Roll it all the way down for your daily use but wait, planning a road trip in the rains? Just roll it up and you’ve made extra space for your trip. 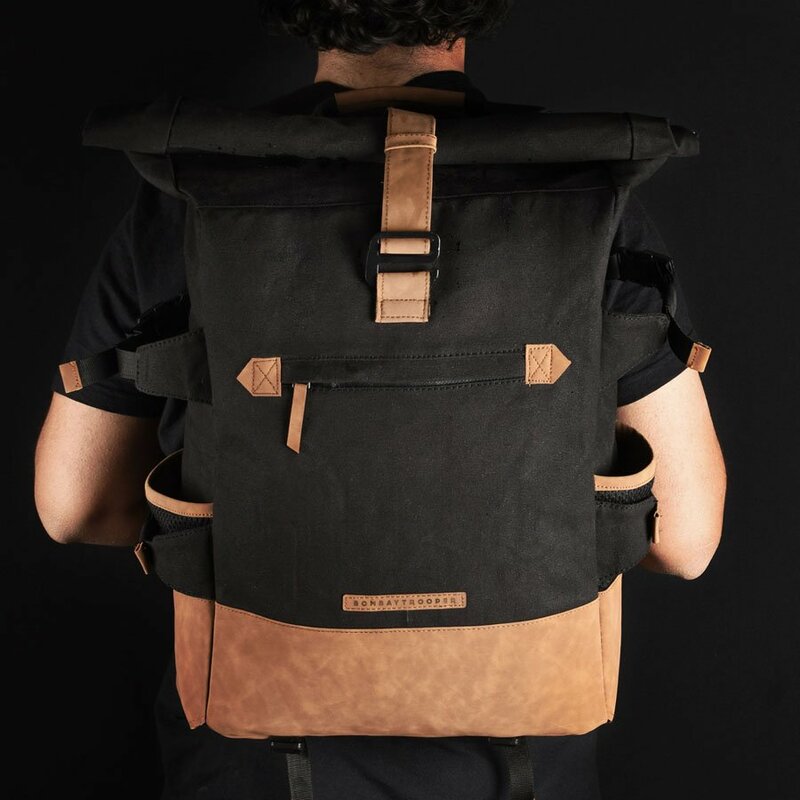 The Splash backpack transforms from min. 12 liters to max 30 liters in storage. How smart is that? The Splash has a padded 17″ laptop sleeve inside along with one partition in the main compartment. Size pockets have holes at the bottom for water to seep through but can hold your bottles or even loose change. Front pocket has 100% waterproof secured zipper for your phone / wallet so you don’t have to open the entire waterproof unit to quickly access these objects. 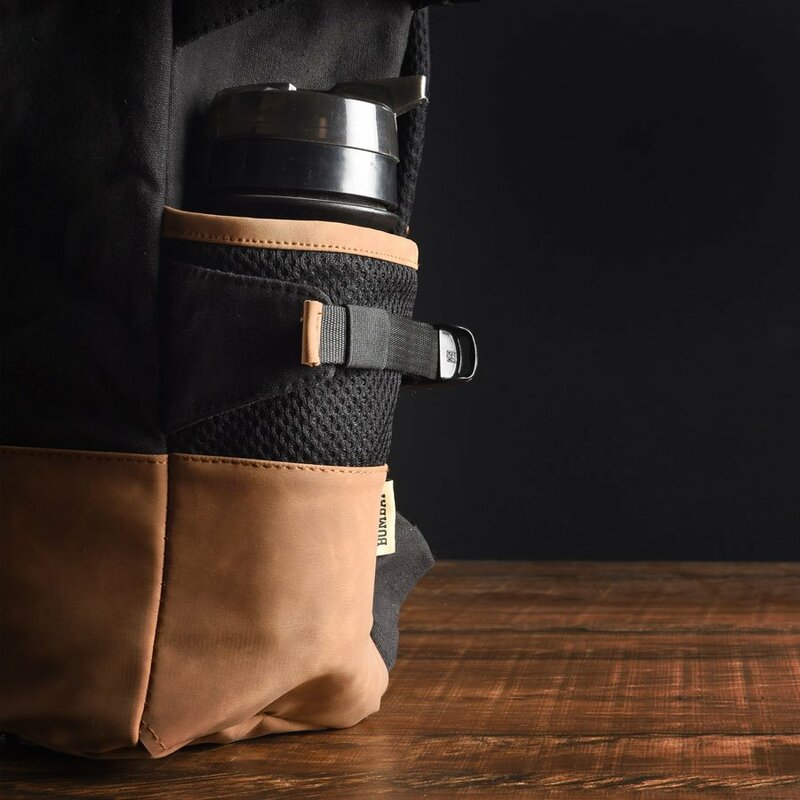 Side and bottom of the bag features adjustable fastening straps to mount tripods, sleeping bags, raincoats or even your wet shoes. 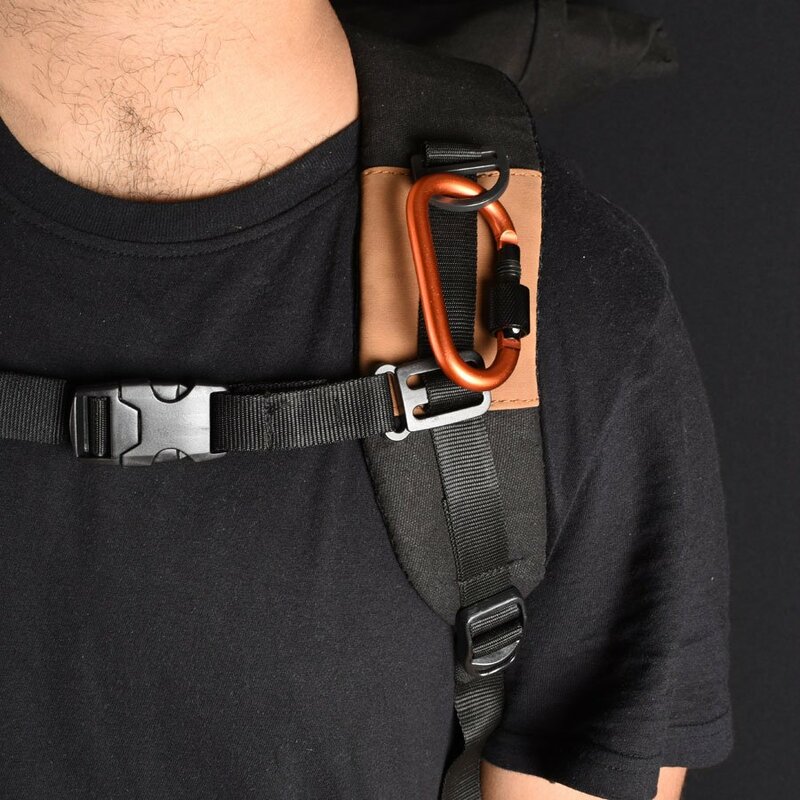 The hooks on the shoulder straps can be used for carabiners, ID cards, camera, etc. 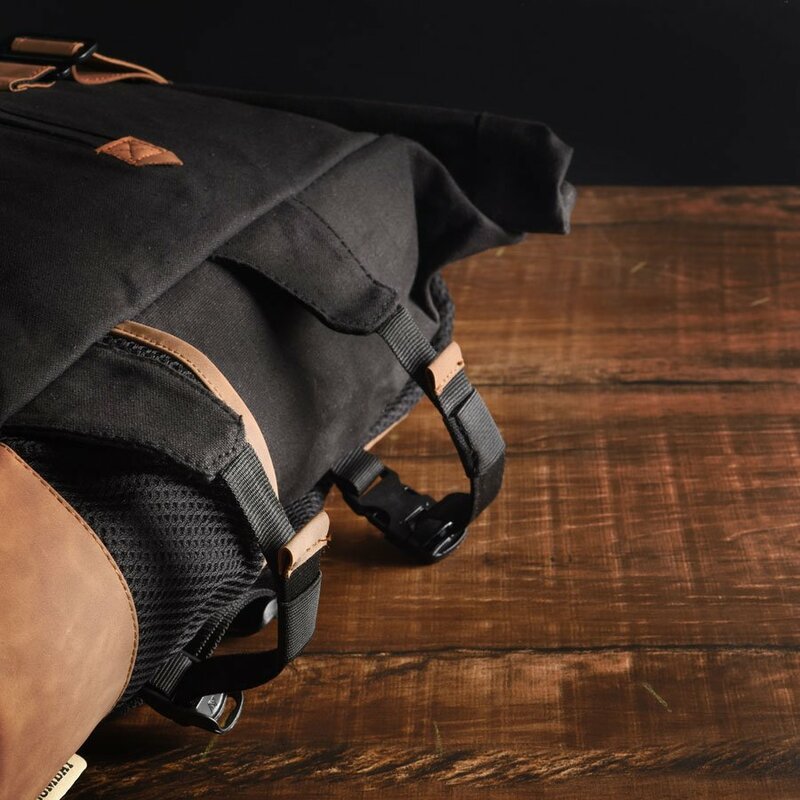 Adjustable chest straps provides additional grip to the bag when you’re out on an adventure. 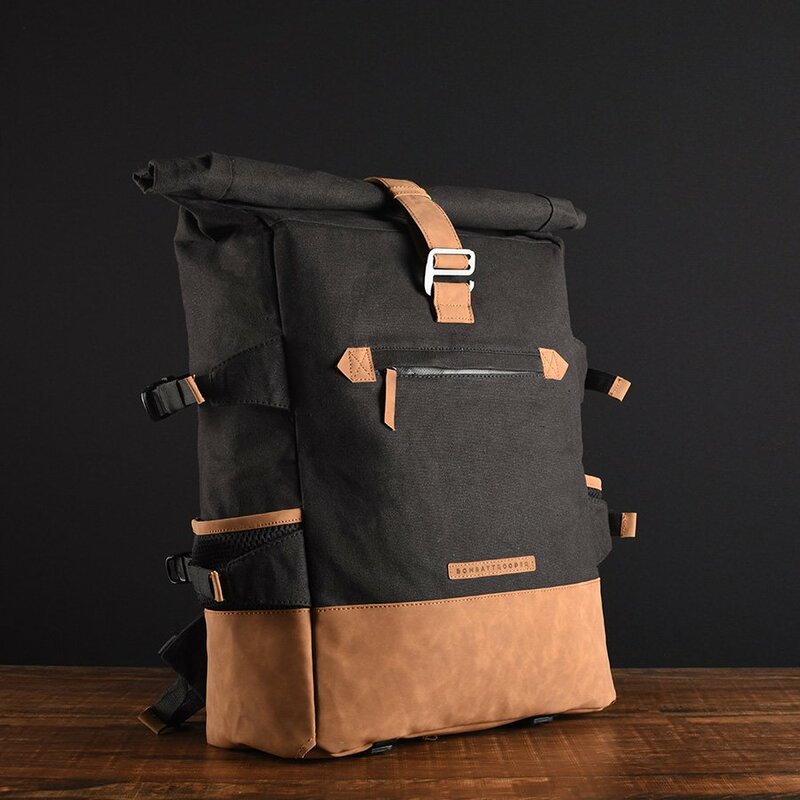 The shoulder straps have special cushioning that wicks water almost instantly and keeps your journey comfortable. 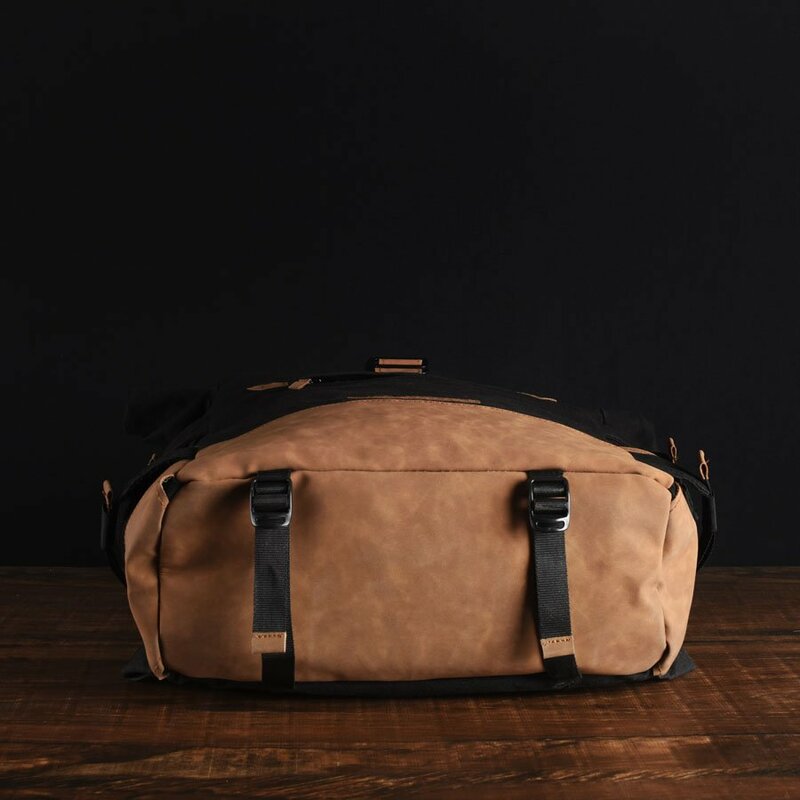 Our previous version of the roll-top bag was quite complicated to open and close and that was because we didn’t want to compromise on its ability to resize on-demand. So with this version, we custom designed a hook that not only allows the strap to easily adjust in length but also quickly secure your rolled size. Tag us on instagram @BombayTrooper sporting your Splash Waterproof Backpack and get featured here.